This is how we end up with things like bitcoin cash, bitcoin gold and now bitcoin diamond. The code for the original bitcoin was modified with some light changes and then pushed out to those who held the original bitcoin cryptocoin before block 495866 was created. If so then you were eligible to receive 10 bcd for every 1 bitcoin that you held at the time. How is Bitcoin diamond really different from Bitcoin original? Well first off there is will be a supply that is 10 times more than bitcoin at 210 million bcd coins versus bitcoin which will eventually be at 21 million. Bitcoin diamond is focused on being a privacy-oriented coin, similar to another coin called monero. It plans to achieve this by encrypting the transaction amounts and balances of all BCD users. In it’s current state the original bitcoin isn’t exactly anonymous when it comes to transactions. They are all displayed on a universal ledger. Every bitcoin wallet address and every transaction for public view. 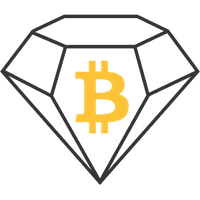 How Do You CLAIM Bitcoin diamond? Well if you were holding bitcoin originally before the creation of block 495866 then you are eligible. You can then claim your amount. If you hold your bitcoin on exchanges they will start or have started trading them already. The blockchain for bitcoin diamond should go live by the end of January 2018. Exchanges that currently deal with bcd are binance,, Yobit,gate.io. If you don’t currently hold bitocoin on any of these exchanges that trade or will trade in bitcoin diamond then one should look for alternative ways to claim their free coins manually. So what we have is a new hard fork added to the bitcoin cryptoverse that promised to help with increasing privacy of users transcations and balances. It will have 10 times the supply of coins as the original bitcoin and will run on it’s own blockchain once it goes live. This also hopes to free up congestion from the main bitcoin blokchain network and allow for smoother transactions on a regular basis. So it does show some promise but only time will tell with this one.